When it comes to private jet charter cost, we do not have large overheads or aircraft fleets which means we can pass on good, honest pricing to our clients. Years of industry experience enables us to advise you on the best operator to use, providing the best service at the most competitive price. And we don’t stop at arranging your charter flight. We can organise ground transfers, hotels, yachts and villas from a network of contacts all over the world offering luxury and discretion at a reasonable cost. How much does it cost to charter a private jet through Exact Aviation? For a light jet (such as a Citation Jet 2, which seats 6 people) to fly from London to Barcelona and back (with an overnight stay) the price would be in the region of £7k – £9k. For a midsize jet (such as a Citation XLS, which seats 8) to fly from London – Ibiza (with an overnight stay) the price would be about £14k – £16k. Transatlantic flights need a heavyjet such as a Gulfstream IV (seating 14). A typical full price cost from London to New York and return to London would be £55k – £65k. 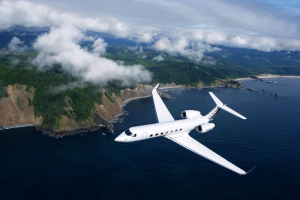 For a Global Express or a Gulfstream V return between London and Los Angeles the cost would be approximately £150k, and one way no less than £60k. Are there cheaper ways to travel on a private jet? Yes! Exact Aviation offers private jet empty leg deals at deep discounts.